EA have shut down Visceral Games. The studio had most recently been responsible for Battlefield Hardline, and was perhaps best known for creating Dead Space. 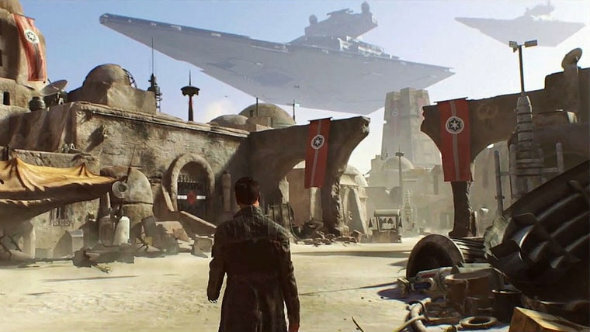 Visceral Games had been working on an untitled Star Wars game with Amy Hennig, formerly the creative director of the Uncharted franchise. According to EA’s official statement, this game is moving to the hands of a team from “across EA Worldwide Studios,” led by a core group from EA Vancouver. The statement also suggests that many Visceral Studios employees will be shifted to other EA studios. It’s unclear what – if any – role Amy Hennig will have with the new game. The rebooted Star Wars project, whatever it ends up being, also won’t be making the original projected release date of the end of fiscal 2019, and a new release window has yet to be determined. Visceral Games began as EA Redwood Shores in 1998, where they worked on titles as varied as PGA Tour, 007: Agent Under Fire, and licensed Lord of the Rings games. They rebranded as Visceral following the release of Dead Space, and created titles like Dante’s Inferno and Battlefield Hardline alongside the rest of the Dead Space trilogy.